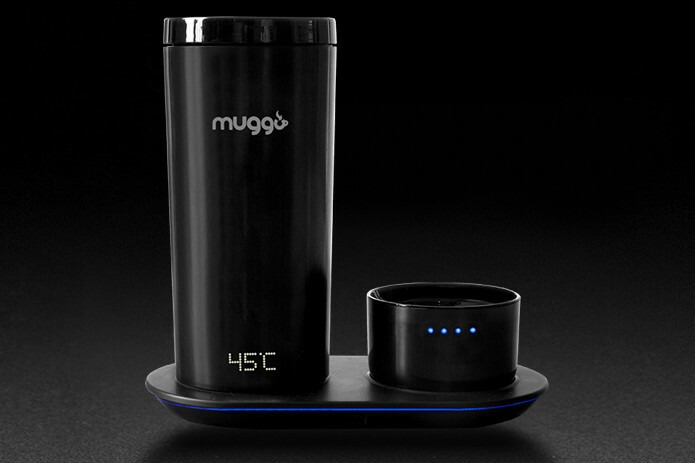 Muggo keeps your favorite coffee at the perfect temperature until you’ve had the last drop. Muggo always gives you the best tasting warm coffee. 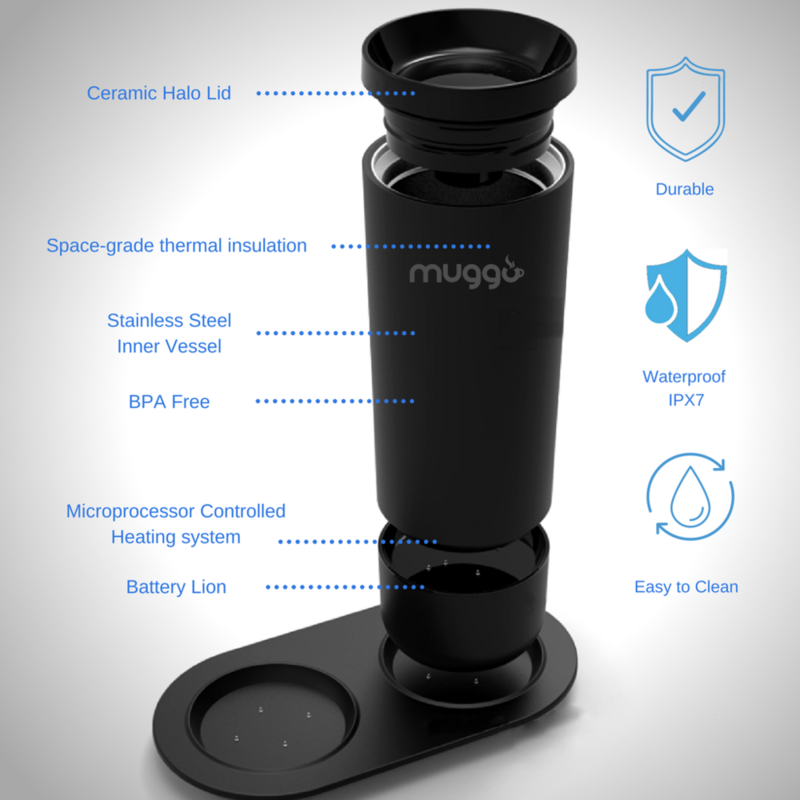 Muggo is a high-tech coffee mug with built-in heating technology that keeps your drink at the perfect temperature for as long as you like. 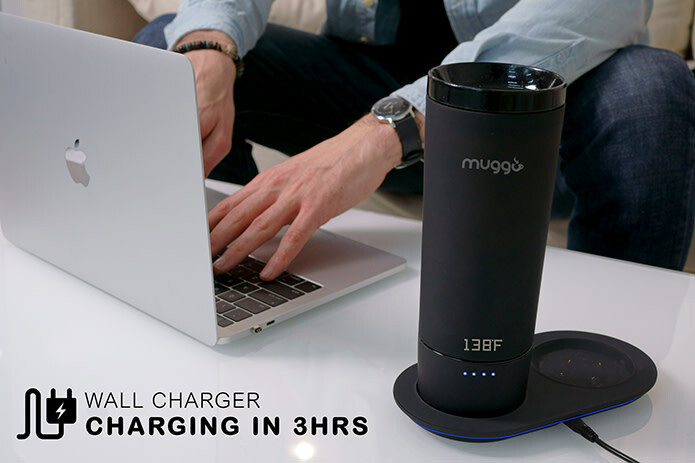 Muggo's conductive wireless magnetic charging is easy to use and super convenient. Connect the battery magnetically with one hand, pick your preferred temperature by using the touchscreen buttons, then take your coffee or tea on the go and enjoy it at any time. It’s a smart portable heated cup that can keep water or drinks warm and maintain a temperature of anywhere between 35 up to 65℃ or 95 up to 150° Fahrenheit. 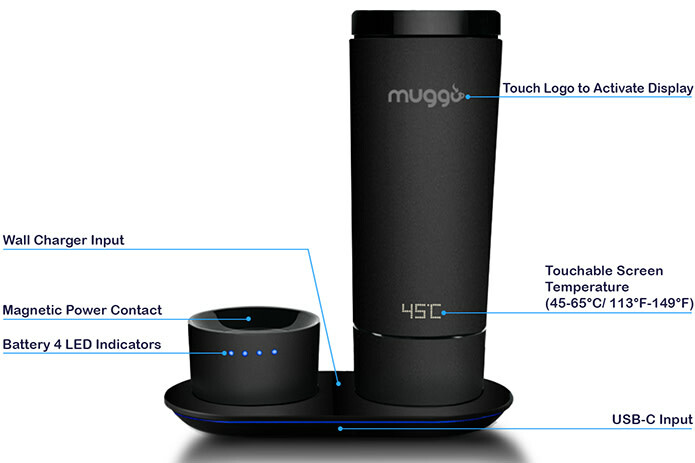 Muggo also has LED display lights and touch technology. Muggo comes with a single or double matching coaster that acts as a charger for both mug and detachable battery—the battery holds a charge for about 5 hours—and has a built-in LED light to notify you when your drink is at the optimal temperature or running low on batteries. The body cup has a waterproof design. Detach the battery and drop Muggo into some hot soapy water to get rid of the acidic coffee residue that remains at the end of the day. 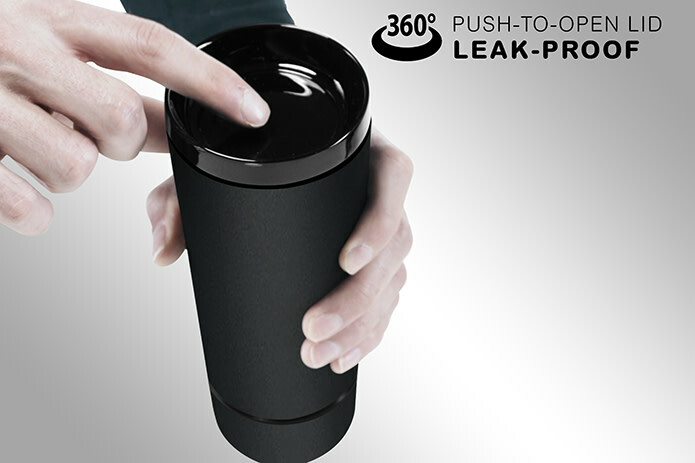 Muggo has a 360-degree push-to-open lid. No need to rotate the cup to find the source of that delicious coffee. With the on-cup temperature control, your coffee will be just like baby bear’s soup. 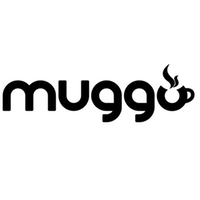 Muggo is made of durable stainless-steel with a FDA food grade reinforced coating.